Saba Valadkhan is the recipient of the 2004 Young Scientist Award organized by GE Healthcare and Science/AAAS [News]. She received the grand prize ($25,000) for identifying “a relic from the RNA world” and proving its catalytic potential — thus, solving a 20-year-old molecular riddle. Valadkhan attended medical school in Iran. In 1993 she placed fourth in the nationwide Basic Sciences Medical Board Exam. Three years later she was accepted to the graduate school at the New York&apos;s Columbia University, where she received awards for both teaching and research. In 2004 she joined Case Western Reserve University in Cleveland, Ohio, as an assistant professor and was named a Searle Scholar the same year. I was born in a small town on the outskirts of Tehran. I grew up in Tehran and lived there until I was 23-years old. Then I moved to the US. How did you get interested in science? When was the earliest time you knew you were going to be a scientist? When I was in the first years of medical school I became fascinated with the basic sciences. We had to take courses in biochemistry, immunology, physiology, etc. In those days — early 1990&apos;s — molecular biology had just started to revolutionize medicine. For the first time, diseases had a known molecular basis. The definition of diseases, our understanding of their mechanism, and the therapeutic options were changing overnight. It was the start of an amazing era, and the possibilities were, and are, boundless. Then we started the clinical part of our training, and it was a huge let down. As is often the case, practice of medicine lagged far behind the advances in molecular medicine, and compared to the glittery, cutting-edge molecular medicine, clinic was repetitive, boring, and almost medieval. And it was also the impact factor. The advances in molecular biology came first, and then tiny bits and pieces of them were being translated into a million new practical uses, later to be adopted in the clinical practice. Clearly, the big game was being played in the basic science research labs. For a 20-year old facing a career decision, the choice was very clear. What is the significance of your discovery? How will it impact our lives? I have shown the underlying mechanism by which the spliceosome, which is a huge assembly of various cellular molecules, prepares the information stored in our genes for being used [see essay]. Almost all of our genes need to undergo this “preparation for use” process and so have to go through the spliceosome. It goes without saying how crucial, then, the function of the spliceosome must be. Over 30% of all genetic diseases, many cancers, certain types of Alzheimer and other neurodegenerative diseases, among other pathologies, result from mistakes in the function of the spliceosome. Extension of the work I have done in the coming years will elucidate how these mistakes happen, and ultimately, will lead to new possibilities for preventing and curing them. There&apos;s an ongoing debate about discrimination against women in the field of science. Were you ever discouraged from pursuing science? Either by parents, counselors or educators? What is your understanding of this controversy? I think this is just an extension of the general lack of trust in abilities of women that is unfortunately present in all societies. 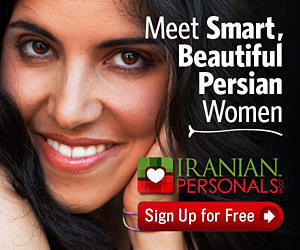 In Iran, unfortunately, it is openly discussed as a fact that women are less capable than men. But even the so-called “advanced” societies like the U.S. share this attitude, although it is expressed in a more sophisticated way. Still, the negativity is clearly there, whether it&apos;s the patronizing discussions on the effect of motherhood and family duties on women&apos;s ability to conduct science, or the outrageous talk of “genetic factors” that make women less suitable for scientific careers. Still, both in Iran and in the US, you can significantly change the atmosphere by being self-assertive and result-oriented, and with more and more women achieving remarkable success in various careers, the prejudiced skeptics are in fast retreat. Have you ever been directly discouraged from studying science? Yes. Because I was a girl? No. I was told that science isn&apos;t good enough for me, since doctors have a better financial and social status than scientists, and because science in Iran is poorly funded and, sadly, in a bad shape. What practical steps can women take to overcome discrimination in the field of science? What can be done other than persistence and determination? I think if women start to believe in themselves, others will follow suit. Women should believe that they are capable individuals, that they are primarily citizens and human beings, not mothers or wives or housemaids. If women put as much energy in their careers as their male counterparts do, they will sure reach the highest professional levels. What is your advice to parents? How can they detect and develop their daughter&apos;s interest in science? Parents have a tremendously important role in shielding their daughters from the discouraging tone of patriarchal societies. They should make it clear that they believe in their daughter, and that they believe she can do great things. Even in a traditional society like Iran there are many women who are real big shots and parents can suggest these women as role models for their daughters. Iran has had only one Nobel Prize and an Iranian woman has been the recipient. And why shouldn&apos;t their daughter be the second one? And for god&apos;s sake, they should stop forcing girls to learn stuff like cooking and other household chores, it&apos;s embarrassing. Are they bringing up housemaids or what? You mentioned you were in Iran until you were 23. Who was the teacher who inspired you most? What schools did you attend? I attended ordinary state schools throughout my primary education, Parvin Etesami primary school, Salman Farsi junior high, and 8th Shahrivar high school. In general I had a good experience with all my teachers and schools. I was younger than my classmates by a couple of years and I was doing well in school, so I received lots of attention. I was exempt from all the rules. I certainly did take advantage of that! I think we were blessed with great teachers. Mrs. Farnia, who was our chemistry teacher in high school, told us “if you girls use your brains, you&apos;ll see why it&apos;s important to study hard: if you become a doctor, you&apos;ll be able to hire someone to help you in the housework, otherwise, you&apos;ll have to wash all the dirty linen yourself!” That threat was sure to work with me! Mrs. Zhenik, my physics teacher, once called me to attend a senior physics class when I was a sophomore, since I had asked a question that was related to what she was teaching that day. Nobody encouraged them to do these extra things for us, but they loved us and loved their job. While none of our teachers told us that we can conquer the world if we try, they did send the empowering message that we can improve our condition as women in the Iranian society through education and having careers. As someone who only glances at the news and follows trends only on the surface, I get the sense that researchers in science and medicine are very close to finding the secrets of life and death. We could very well see people of our own generation living to be 200-years old or more. How much of this is wishful thinking and how much of it is close to the truth? Is the Preservation of life the ultimate objective? The ultimate objective of all sciences has almost always been improving the life standards of the human society. Curing the diseases of aging is certainly within that framework, and it might well lead to an expanded life span. About secrets of life and death, I wouldn&apos;t know! But researchers in biological sciences are certainly close to unraveling a lot of secrets. While this is certainly very exciting, it&apos;s important to be cautious in using our newly gained knowledge. I think it&apos;s safe to bet that people will have much healthier lives throughout their life span, as long as they can afford to pay for it. For those who are in college and are thinking about majoring in science, what areas do you believe are “hot” and interesting to pursue? I think in general all areas of science are very interesting if studied in depth. I guess the best guide is one&apos;s interest. This is a very exciting time to be a biologist, though, and biological sciences are relatively well-funded. I&apos;m a molecular biologist, which means that I find this field most exciting, but neuroscience is also truly amazing. What is your next research project? Do you have one particular scientific goal you would like to achieve? My immediate next project would be to expand the work I have done and try to gain more knowledge about the way our genetic data is processed. But there are many intriguing questions left unanswered in biology and for sure I would like to try and tackle some of them and have a lot of fun doing that.